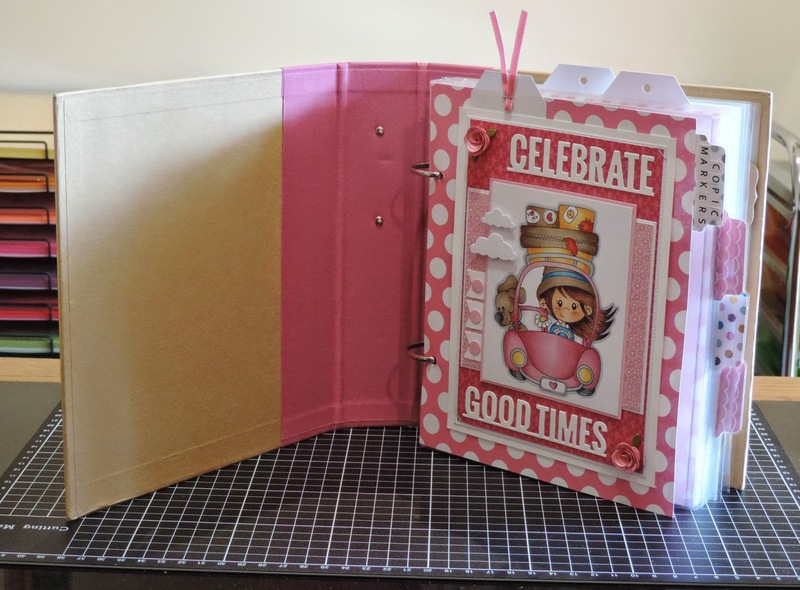 Hi Everyone, its Paula back again and as it is my turn for the Spotlight Designer this week, I thought I would show you my first divider page from my Copic Book. 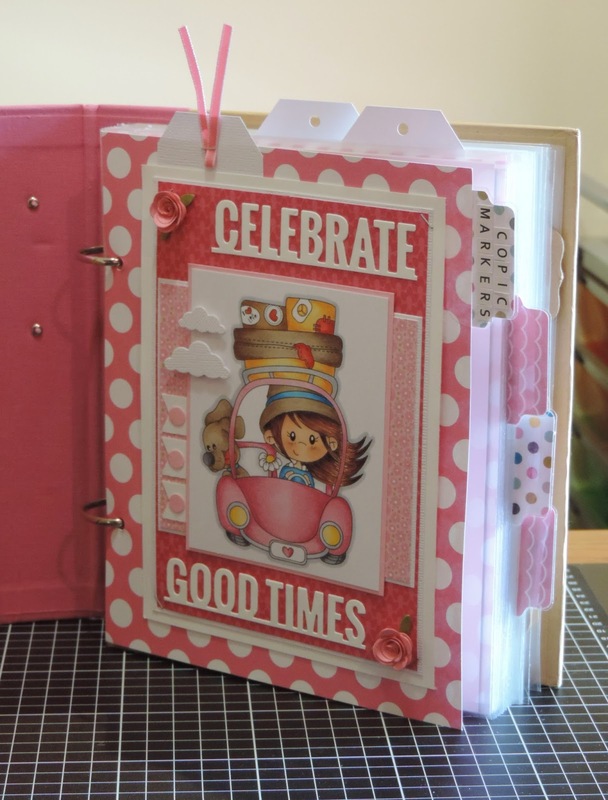 I have used the face of a card that I had previously made, because I love this digital Stamp from Sherry. She is called Travel Bug, and now she has a permanent home in my Journal. So here is my front cover and below is the divider page. Thank you so much Loz. I think it is the images that make it so great. Oh how cute!!! What a lovely book! First time? WOW! Thank you Nancy! I hope you continue to check out our site. Exciting times ahead.